About a month ago, we started a new series of interviews with new brand CEOs. 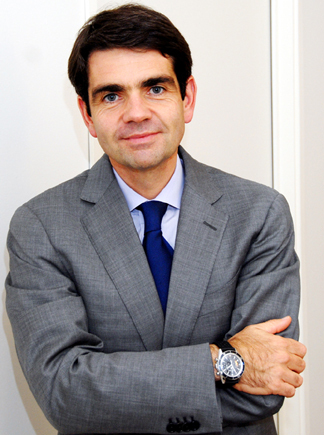 In this vein, we recently interviewed new international CEO of Montblanc, Jerome Lambert. Lambert spent 15 years at the helm of Jaeger-LeCoutlre (and held top spot before that for a few years at A. Lange& Sohne). Recently, he staked claim to the leading executive position of Richemont Group’s larger moneymaker- Montblanc. This move made some shake in their boots that Lambert – a total watch man – might forego the writing instrument department for a while; others (watch folks) were thrilled with the appointment. Now, Lambert shares his thoughts, plans and brand direction initiatives with ATimelyPerspective. The new Montblanc ExoTourbillon Rattrapante with second time zone and day/night indication. 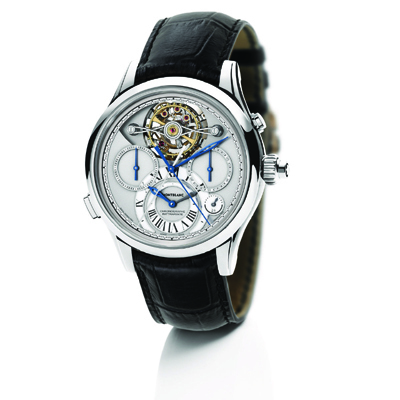 The handcrafsmanship done at the brand’s Villeret workshops is something Lambert expects to take design direction from. As to the types of innovations Lambert expects to integrate into the line, he says it is all about surprise. “We want to raise the level of expectations. We have to be capable of satisfying the curiosity of our customers, and I am energized by this challenge. 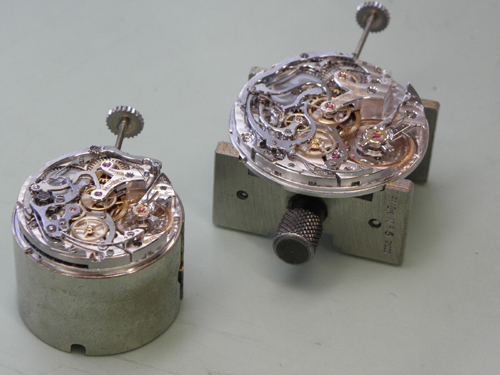 The most important thing is that our guiding light be our passion for fine watchmaking and how we share that passion. This means bringing meaningful complications and movements that are unique in the market. We can use new materials and move forward with innovation, while still paying attention to the codes of fine watchmaking in all we do. 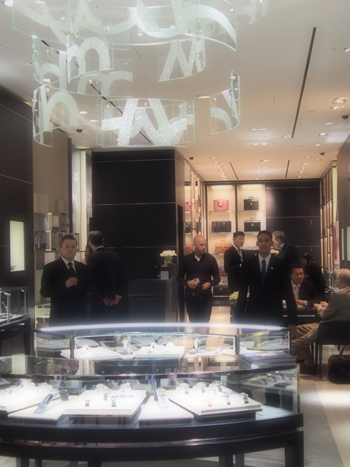 Lambert recently officiated at the opening of the new Montblanc boutique is on Madison Avenue around 57th street. Among the pieces we can expect to see: multi-time zones, calendars and chronographs. The latter is a natural, as the brand has the well-known Rieussec line and can work wonders reinterpreting it into other inventive offerings. Similarly, Lambert says other shining lines are the Star and Timewalker, and he plans to re-strategize those to offer more choice and style. As to the price range of the new Montblanc pieces Lambert speaks ofz: the focus is in the under $10,000 range, and in some cases under $5,000. We liked a few of the pre-SIHH timepieces we were shown; but those remain under wraps until January. Stay Tuned.